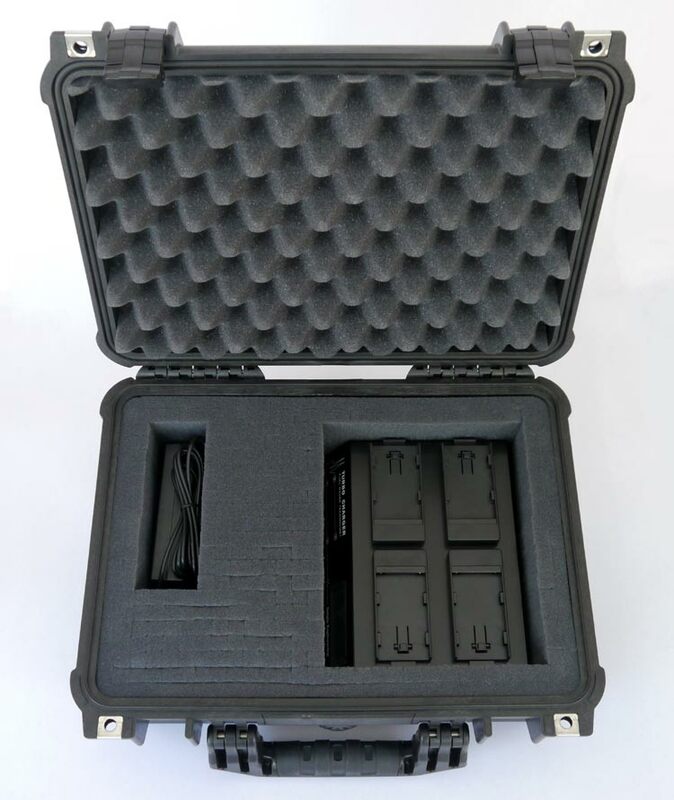 PLAY DEMO VIDEO The Dolgin On-The-Go TC400 Battery Charger Field Kit incorporates a TC400 Battery charger in a hard-sided Pelican case with custom foam insert. It is perfect for users who have to travel and work off site in demanding conditions. The case houses a battery charger and an AC adapter with space for batteries, cables etc. The battery charger comes configured with premium "mousetrap" lock/release battery plates. The standard 2 year Dolgin manufacturer warranty is extended by an additional 1 year for a total of 3 years. 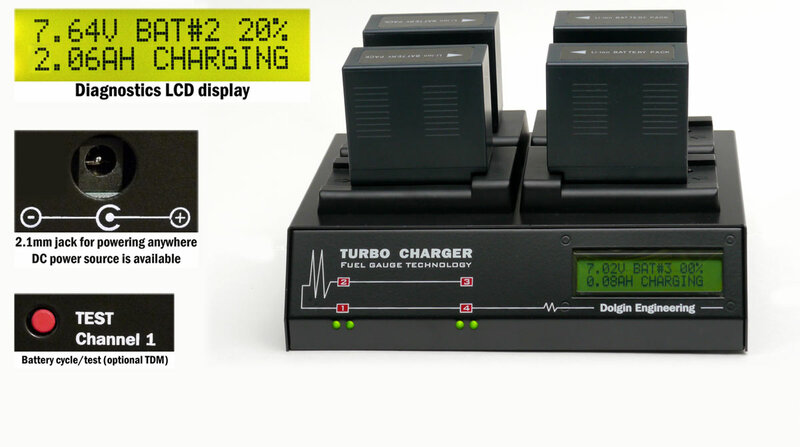 The TC400 four position battery charger accepts Panasonic VW-VBG6 (HMC150/AF100/AF100A), Panasonic CGP (HPX170/DVX100/HVX200 etc. ), Sony L/M (VX-2100 etc), Canon BP (EOS C300, XL2 etc. ), JVC BN-VF823 (GY-HMXX etc.) and many other battery packs (each configuration comes with its adapter plate as ordered). Dimensions (WxHxD) 8.4 x 2.5 x 6.6"